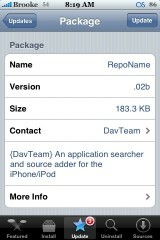 Last night, the Dev-Team released some info about the how to prepare the iPhone 3GS for jailbreaking. However, there wasn’t a guide yet. This morning there is a guide. Below is the info via the Dev-Team. You will want to check out their website for the how-to guide. “Remember we warned you to stay away from any updates to 3.1 if you want to be able to jailbreak or unlock your 3GS. You may have read or heard about techniques to capture files during the iTunes restore process. 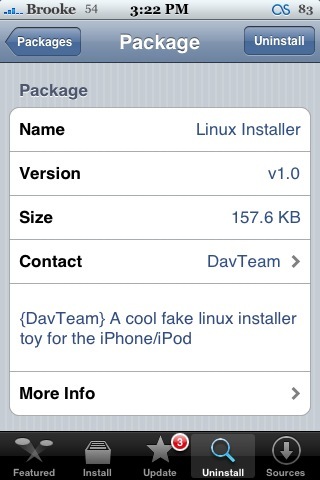 These will be required to jailbreak your phone in the near future, most of the methods involve icky USB snoops. Well, there is an even better and more reliable method to get your hands on those lovely files. So during a usual recovery with iTunes, your signed iBEC is written to /tmp and during a DFU mode restore the signed iBSS is written there also. To be sure, restore in both modes one after another to be able to grab them both. 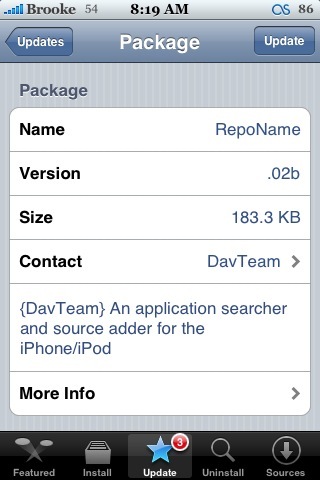 You’ll need to keep an eye on the temp directory and copy it before it is deleted again by iTunes. I’m sure some nice folks will create a tutorial about this, we’ll link to the first person who makes a good one. Should you choose to accept this mission, act fast, this needs to be done quickly! But again, always, always double check here to see if 3.1 has been released, if is has, then don’t do this. WARNING!! – DANGER, WILL ROBINSON! – NB! – REMEMBER! There are no visual changes with version 0.02b of RepoName. 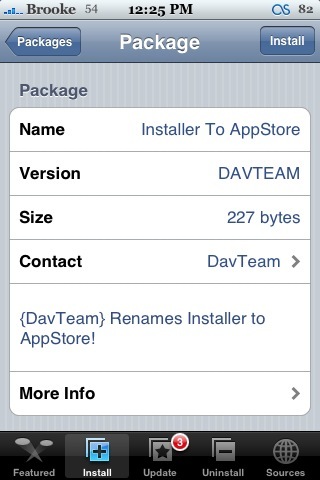 Though, it does fix it so that you can enter the title of an app with any capitalization and it will find the app. So, you could search for VWallPaper (when the title of the app is actually vWallpaper) and it will still find it. Though, I am a little confused because the developer’s site says that it is version 0.10b but, I only have 0.02b in the Installer. Though, the capitalization fix works on the version I have (0.02b). So, I’m not sure what the deal is! A very good update none the less! 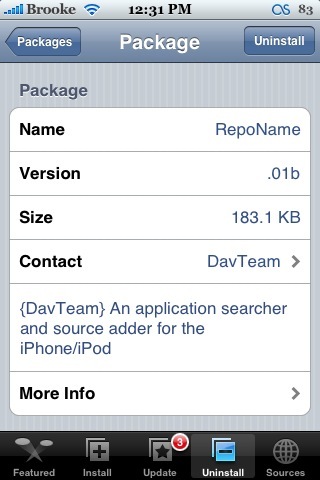 RepoName is available through the DavTeam source.